Playing slots online has become a worldwide phenomenon. People are making money while entertaining themselves at the same time. Slots are pretty straightforward, but some know-how helps. This is why we’ve compiled an online slot tips guide to help you get the best experience when playing slots online. Take some time to read our top online slot tips. These can help you get the best experience when playing slots online. Be on the lookout for slot games with high payout percentages. This refers to the amount of money the casino pays back in winnings from the total amount made in bets. By going for online slots with high payout percentages, you’re more likely to cash out. Gambling responsibly is the most important thing to keep in mind when playing at a casino. Setting a maximum amount you’re willing to lose at any casino game is an important part of that. Set one that won’t affect your personal finances. Once that bankroll has been used up, stop playing. Also, it’s important to set a maximum winning limit. It’s easy to start chasing that winning streak and then losing it all. Progressive online jackpots can change a player’s life, much like ones at land-based casinos. Many South Africans have become instant millionaires through progressive online slot jackpots. Bet enough to be eligible to win the ultimate prize. One of the most important online slot tips we can give is to be on the lookout for bonuses. Free spins and bonuses are a great way of playing without having to spend any money. So, before playing the real money game, find out how bonuses are activated. 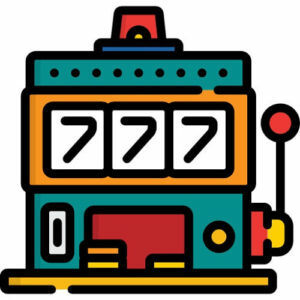 Slots with a fewer number of different symbols on them mean a better chance of winning. Also, more paylines means more chances of winning. Therefore, in order to find the best online slot, look for one with more paylines and fewer symbols. So, with these online slot tips in mind, try slot games in free or demo mode. This gives players a chance to get the feel for a game before committing real money to it. Our top recommended sites offer most of their slot games in both free and real money mode. Read our guide on how to play slots for more information on this popular game.